HOW TO USE DEMOGRAPHIC TARGETING TO IMPROVE YOUR ADVERTISING | AdsWiki - Ad Network Listing, Reviews, Payment Proof & Advertising News. One of the ways to improve the effectiveness of your ads is to use a technique known as demographic targeting. This is a process in which a web site collects demographic information about the people that visit your web site. Demographic targeting when combined with behavioral and contextual targeting can help you to run a banner ad campaign that can be truly successful. The most common types of demographic data that are collected can include gender; the age group such as under 18 years of age, between 18 and 34, between 35 and 49 and those over 50; the number of people and children in a household; the highest level of education of the user; the overall annual income for the household, such as under $30,000, between $30,000 and $60,000, between $60,000 and $100,000, and over $100,000; whether the household is owned or rented; and the ethnicity of the household or user. For example, if a web site is related to sportswear and the like, and they find that most of the people visiting the site are males between the ages of 18 to 34, advertisers might want to display ads that are related to gear and clothing for predominately male sports. On the other hand, if they find that visitors to a particular site are primarily women who have an income of over $100,000 then ads about high clothing items might be more appropriate. Likewise, ads can be displayed that are more related to families with at least one child as opposed to married couple who have no children. More detailed data about those visiting a web site can be collected with the permission of the users. This kind of data can be designed using specific targeting criteria that are above and beyond what is regularly used, such as personal and professional interests and even hobbies. 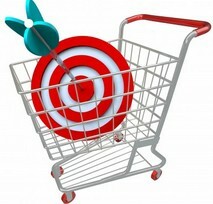 This data can then be used to display ads that are even more targeted to your audience. Often, many companies loom to third party organizations who have expertise in gathering demographic data so they can be assured that the information they get is accurate and reliable. The more that your online banner advertising is defined for your target markets, then you will be able to make more click throughs and conversions, which is the ultimate goal. The best way to convert all those click throughs into actual customers is to combine all the best methods of targeting so that you can narrow down your scope and find those who are truly interested in what you have offer.